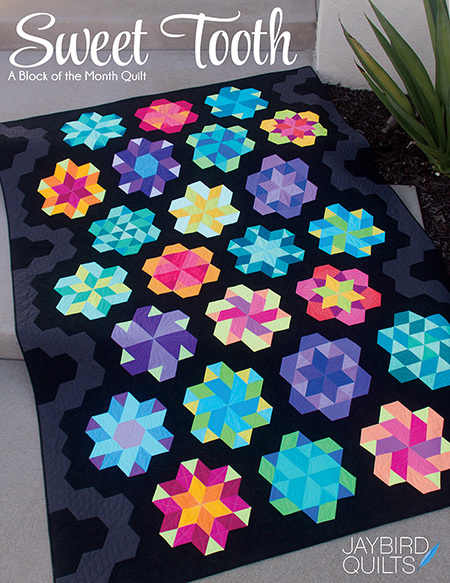 Tomorrow, Saturday January 24, is National Visit Your Local Quilt Shop Day. 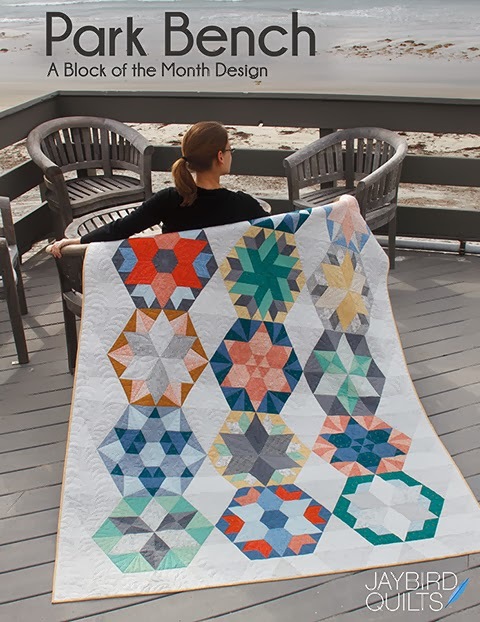 Yes, it's a real day with a real website! 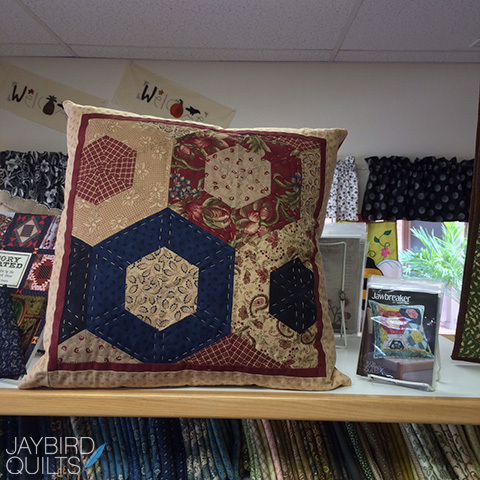 Here are some photos of Jaybird Quilts shop samples spotted in Local Quilt Shops this past year: A Jawbreaker pillow, made using the Hex N More ruler, at Orange Quilt Bee in California. 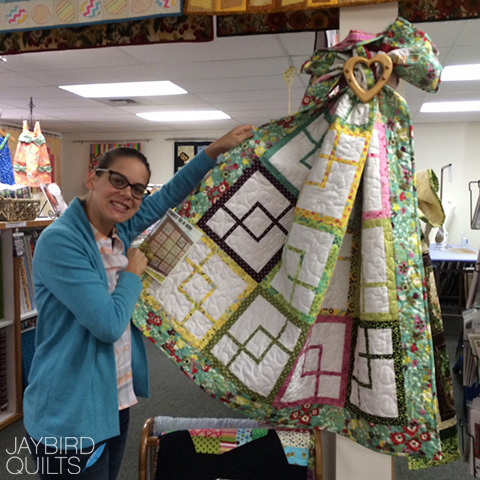 Me with a Three in the Box quilt, also at Orange Quilt Bee. 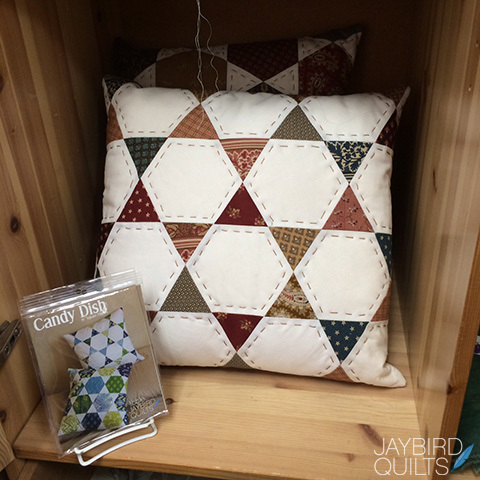 A Candy Dish pillow set at Orange Quilt Bee. 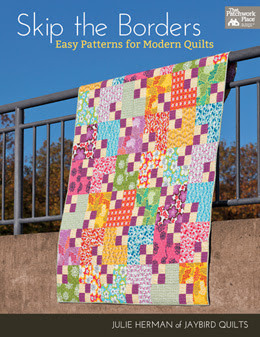 Snack Time in Kona Cotton, Delight in color:FULL by Jennifer Sampou for Robert Kaufman Fabrics, Disco in Botanics by Carolyn Friedlander for Robert Kaufman and Hugs and Kisses at The Stitchin Post in Oregon. There's a lot going on in this one: Giggles is hanging, Chopsticks and Science Fair are on the bench. 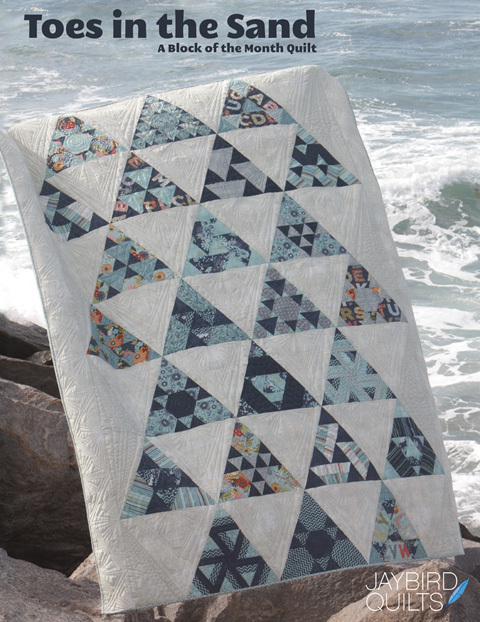 Then Mini Radio Way, Mini Northern Lights & Mini Disco are all hanging out together, clothes pinned to the display. 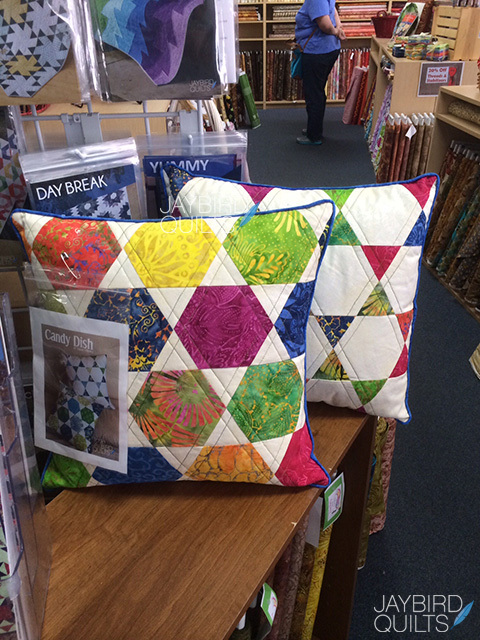 And a Candy Dish pillow set with some patterns at Cozy Creative Center in California. 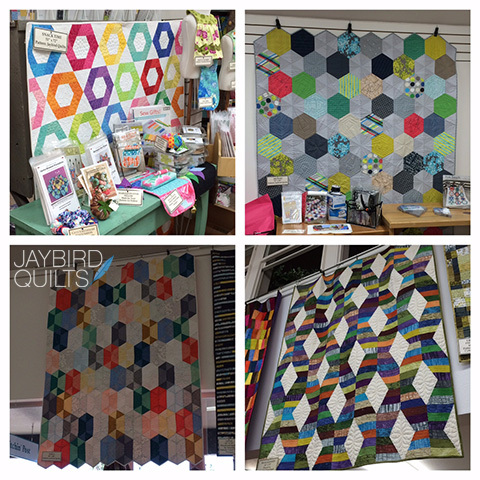 If you're new to Jaybird Quilts or the blog and you're looking for shops that carry my rulers and patterns, check out my Where to Buy page for the most current listing. 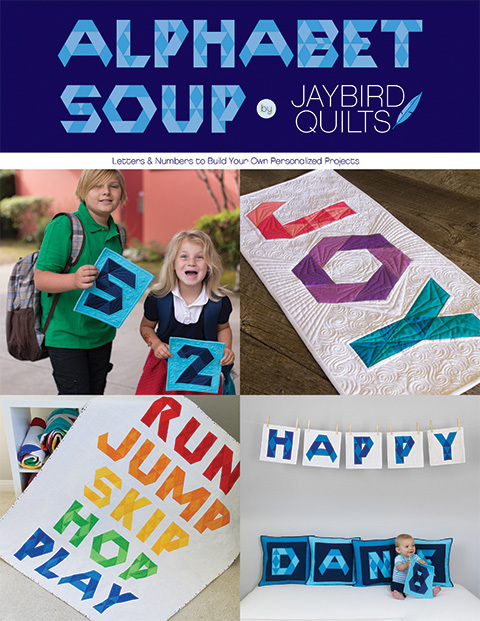 If you're shop looking to be added to my Where to Buy page, email your contact info and shop website (if applicable) to rachael at jaybirdquilt dot com. 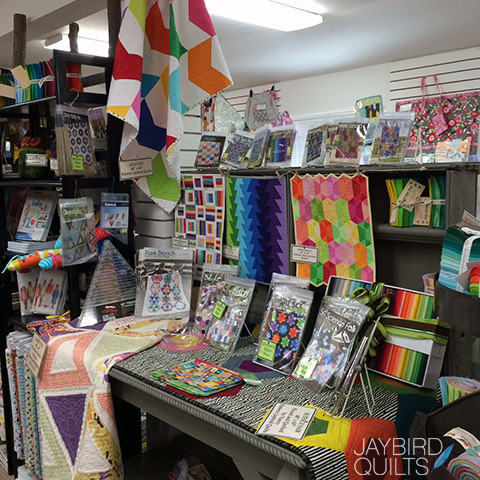 What's your favorite local quilt shop to visit for fabric and notions? 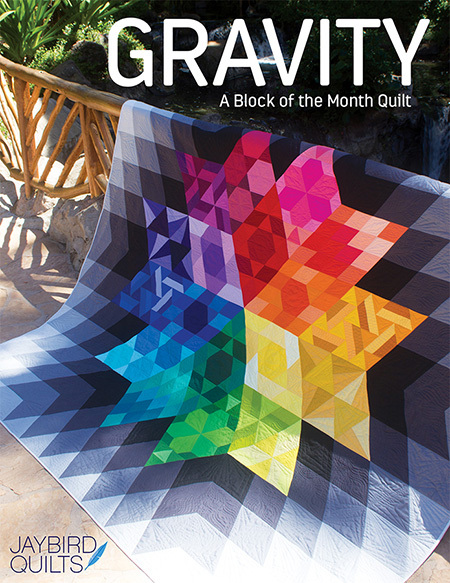 Tell us all about it in the comments.